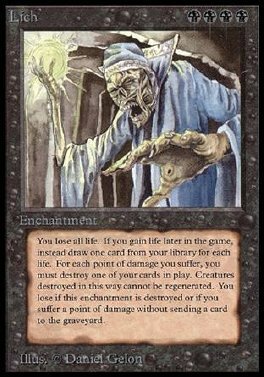 As Lich comes into play, your life total becomes 0. You don't lose the game for having 0 or less life. If you would gain life, draw that many cards instead. Whenever you're dealt damage, sacrifice that many permanents. When Lich leaves play, you lose the game.